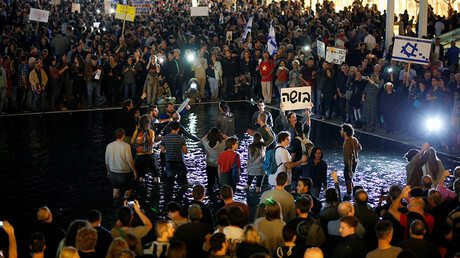 10s of 1000s protest against Netanyahu’s corruption for second week in Tel Aviv. “We want a new contract with politicians, without those colluding with tycoons. We want new leaders and a new contract. Politicians who work for us, not corrupt ones. Politicians who can see justice served,” Yaniv told Ynet News. 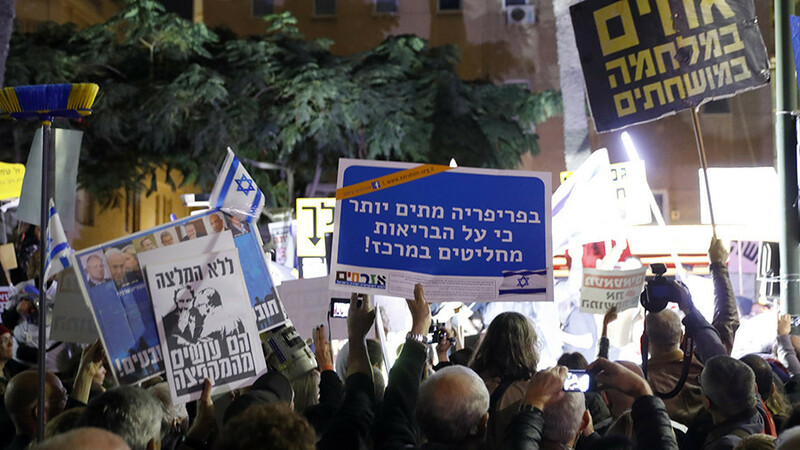 Smaller anti-Netanyahu protests were organized in other locations in Israel as well, including Nahariya, Hadera, Afula, Netanya, Rishon LeZion, Modi’in, Jerusalem and Be’er Sheva. Netanyahu has been questioned in two cases, with poilce suspecting the PM of received lavish gifts from businessmen and negotiating a deal for more favorable coverage with a newspaper owner. The PM, meanwhile, was on his way to France to meet President Emmanuel Macron, with his impending arrival spurring a massive anti-Netanyahu rally in Paris. Meanwhile, violent clashes continue to rock East Jerusalem, the West Bank and Gaza in the wake of Trump’s announcement Wednesday. Two Palestinians were killed and over a 1,000 people injured Friday, with another 230 wounded Saturday, as Israeli security forces fired tear gas, rubber bullets and live ammunition at the protesters.